Stupid travels in groups. The larger the group, the more stupid is present. Don’t let stupid get you hurt or killed. Mob Mentality…Escaping from Riots and Flash Mobs | Active Response Training. Index your finger on the frame above the trigger and NEVER let it wander when you are not actually engaging the target. Unfortunately, once we covered up the trigger guard, the path was paved for negligent discharges going back into the holster. Carelessly leaving the finger inside the trigger guard when reholstering will result in the holster helping the finger press the trigger. That’s not the holster’s fault, it’s the user’s. Be a Good Scout. Be Prepared. For everything. If you’re reading this, chances are pretty good that you have some form of survival kit of your own. It doesn’t matter whether you have a full-size backpack, or just a little case that can fit into your pocket — having a kit of basic survival tools is imperative. But if you do have that survival kit, it’s also probably filled with basic items you would find in a survival list or book. All of these items — like a good knife and a compass — are important. Still, your kit may be underequipped for the drastic change in weather. A frigid, snow storm-filled winter is one of the harshest environments for survival. It’s that time of year. However, just because the seasons ends, your precautions should NEVER end. While you are out shopping this season, and while some of these personal security tips may seem paranoid, the fact is that trouble lurks just beneath the surface where criminals are looking for victims. Situational awareness will enable you to see it on occasion. It’s there. During daytime, park away from the crunch of cars – which provides more visibility to assess (for coming and going). 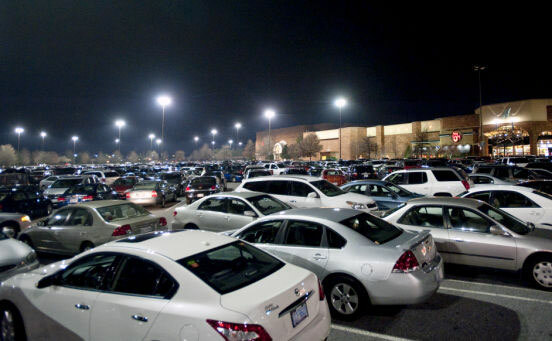 During the night, park up close to the entrance, under a light. Make a conscious effort to NOT keep your head down in your smartphone. Don’t stare straight ahead while you walk. Don’t walk while looking at your feet. Casually look around while you walk. Don’t slouch while you walk. Keep your shoulders back and chin up. Look confident. Not everything related to Ferguson is bad news. Some people still know how to love each other.